Instagram is introducing a few updates that will make it easier and faster to share more in Instagram Stories. One of these updates is the ability to upload multiple photos and videos at once. Starting today, you can now upload multiple photos and videos to your Instagram Stories – all at once. This update will make it much easier to control the flow of your Stories and help you upload everything faster. Until now, you could only upload one photo or video at a time. To upload multiple photos and videos simultaneously, go to upload media and you will see a new icon in the top-right corner that looks like the carousel icon you are already familiar with. On the edit screen, you will see a preview of all the media lined up at the bottom. 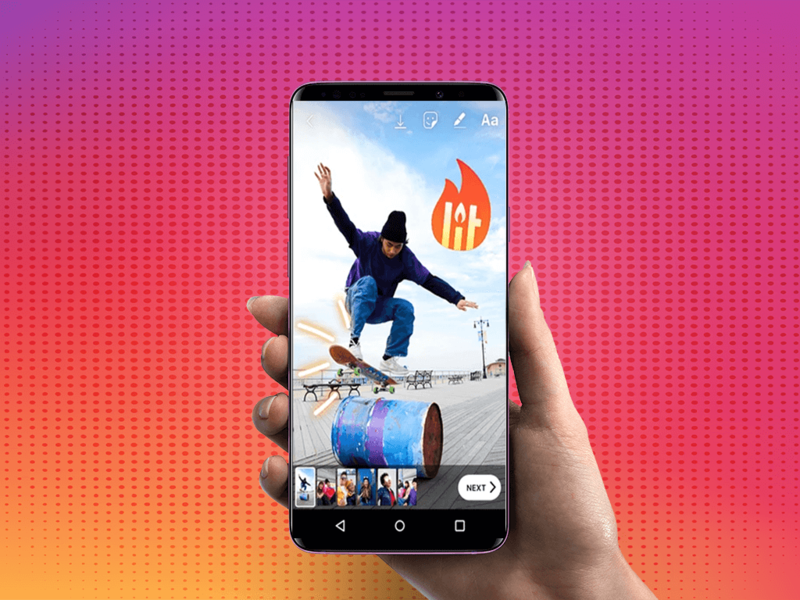 You can edit each photo or video individually, to add stickers, text, emojis, location – basically all the usual creative tools offered by Instagram Stories. The order in which your photos and videos will be shared is the same as when you selected them from your phone. When you’re ready, all media will upload at once. Simple!